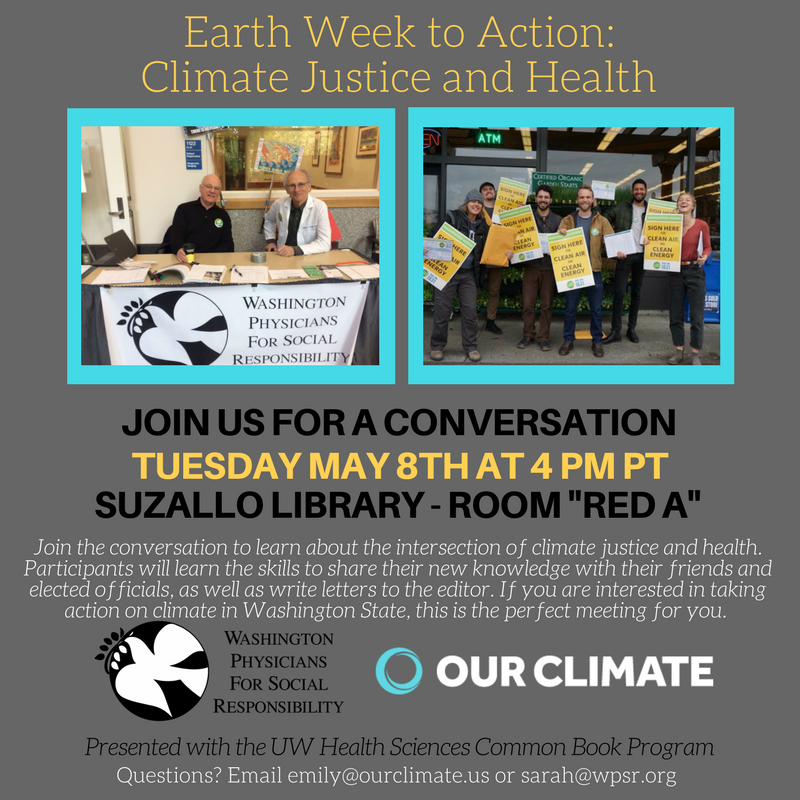 Tuesday, May 8, 2018, 4 – 6 p.m.
Join the conversation to learn about the intersection of climate justice and health. Participants will learn the skills to share their new knowledge with their friends and elected officials, as well as write letters to the editor. If you are interested in taking action on climate change in Washington State, this is the perfect meeting for you.